At the 2015 IPCPR, Espinosa Cigars launched its re-branded and re-blended Espinosa Habano,the first line to come out of Erik Espinosa’s La Zona factory in 2012. While this is my first go around with the new Espinosa Habano, the original Habano is one I am very familiar with and one that I have favorable memories of. You can find my review of it HERE. The Espinosa Habano was my first cigar after going out on my own and the first cigar made at my new factory. I wanted a cigar that would hit right in the middle of the flavor spectrum,” said company owner Erik Espinosa. Espinosa continued, “We have been on such a roll of late. With the factory (La Zona), the Laranja Reserva, doing events, traveling, working on the Espinosa Especial and Murcielago for the IPCPR, the Habano was overlooked. I wanted to bring the Habano up to where the other lines are, both in presentation and blend. We went back to the drawing board, developed a clean new band, packaging, and tweaked the blend. I am very happy where we are now with it, both richer and smoother. Available vitolas include: No. 4 (5 1 /2 by 50), No. 5 (6 by 52), and No . 8 (6 1/8 by 58). Prices range from $6.75 for the No. 4 to $7.50 for the No. 8. 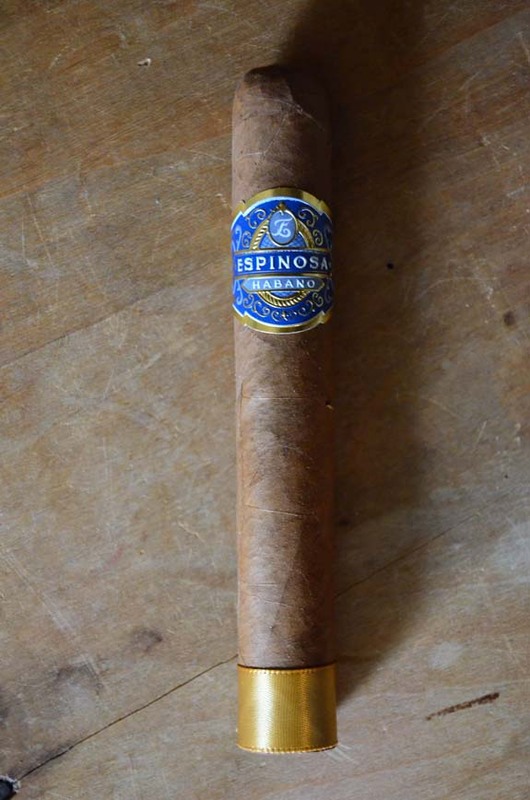 The Espinosa Habano is dressed in a medium tan, Nicaraguan Habano wrapper that has dark marking down the leaf that are not evident until closely examined. The leaf is full of bumps and crisscrossing veins. The oils on the wrapper are easily felt as I inspect the cigar for any soft-spots. As I roll and lightly pinch the cigar between my fingers, I find the cigar evenly filled with the slightest give. I have noted barnyard and manure in past reviews, but this cigar out does them all with its barnyard smell. Each year we take the kids to U.P. State Fair in Escanaba, Michigan where local farmers showcase their farm animals. The smell of the cigar is just like the smell I get walking through those barns. 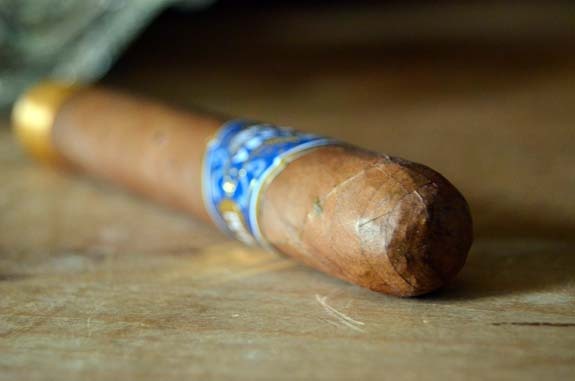 A clean, rich cedar aroma is found on the foot of the cigar. Upon cutting the triple cap with my XIKAR Xi cutter, a draw with a bit more resistance than preferred brings forth rich cedar and a toffee flavor. Removing the ribbon foot band, the Espinosa Habano is ready for toasting. 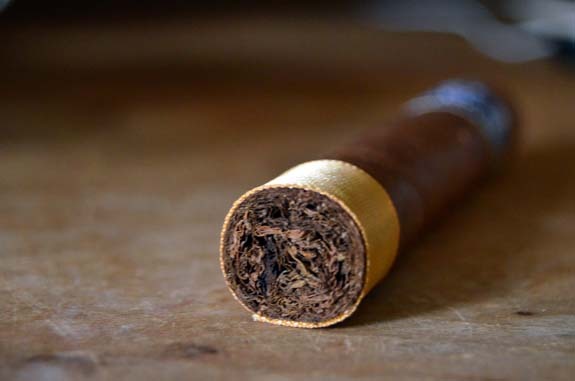 A combination of wet, musty wood, rich cedar, and a bright pepper opens up the cigar. Expelling the smoke through my nose, the pepper is sharp. There is a medium creaminess in the mouth as the smoke enters my mouth, but transitions to a dryness on the finish. 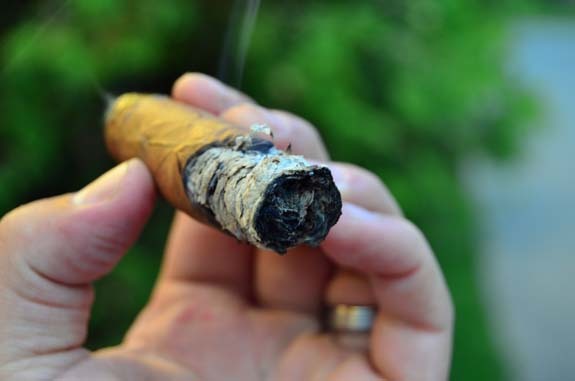 The Habano is burning along unevenly, but with no real cause for concern. The burn-line is thick and the heat is bringing up the oils from the leaf. Controlling my urge to touch-up the cigar, the Espinosa Habano self-corrected rather quickly. The flavors that opened up full have shifted down to medium with a generic wood and toasted flavor. The spice has substantially reduced, but still very much there on the retro-hale. A half inch crack has formed beginning right below the burn-line that continues to expand. An unsweetened cocoa arrives on the finish of the smoke and an earthiness joins the profile. 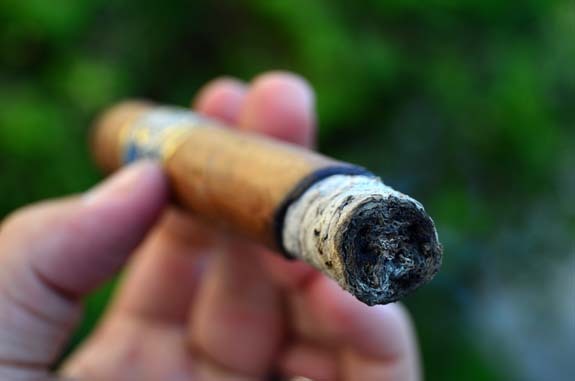 At the end of the second third, the burn is jagged and the ash is flaky. A full re-light was required as I approached the final third. Along with the crack, I think the cigar may be over humidified, which I wouldn’t doubt considering humidity has been borderline 90% up here making it difficult to control the relative humidity in my coolidor. The flavors from the second third continue to hold strong. A richness that was not around in the previous third shows up in the final few puffs. Like the original version, I experienced some major cracking and burn issues, especially in the middle and final third. 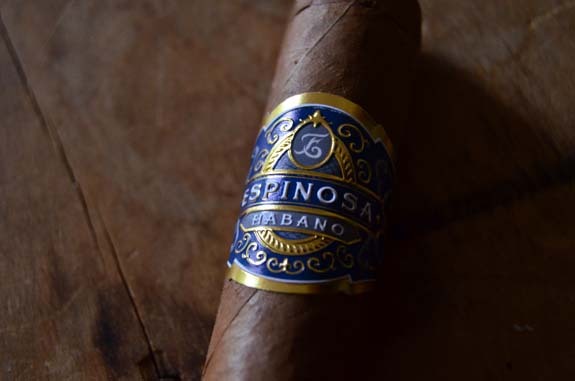 But unlike the original, I did not walk away from the revamped Espinosa Habano impressed as the flavors were muted, a bit generic, and dialed back. The presentation is definitely a step-up from the original Espinosa Habano, but there is not much else going for it. 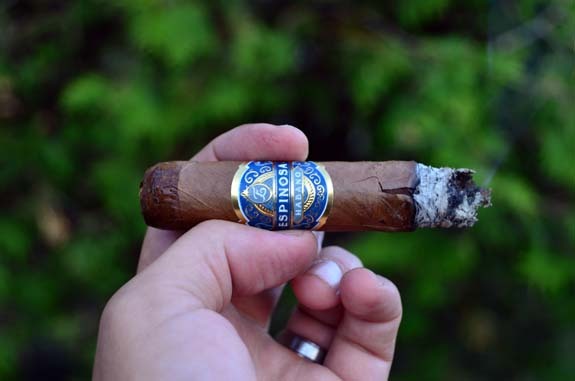 La Zona produces some excellent cigars (just check out our past Top 10 lists), but the Espinosa Habano fell short of what I have come accustomed to from the factory.